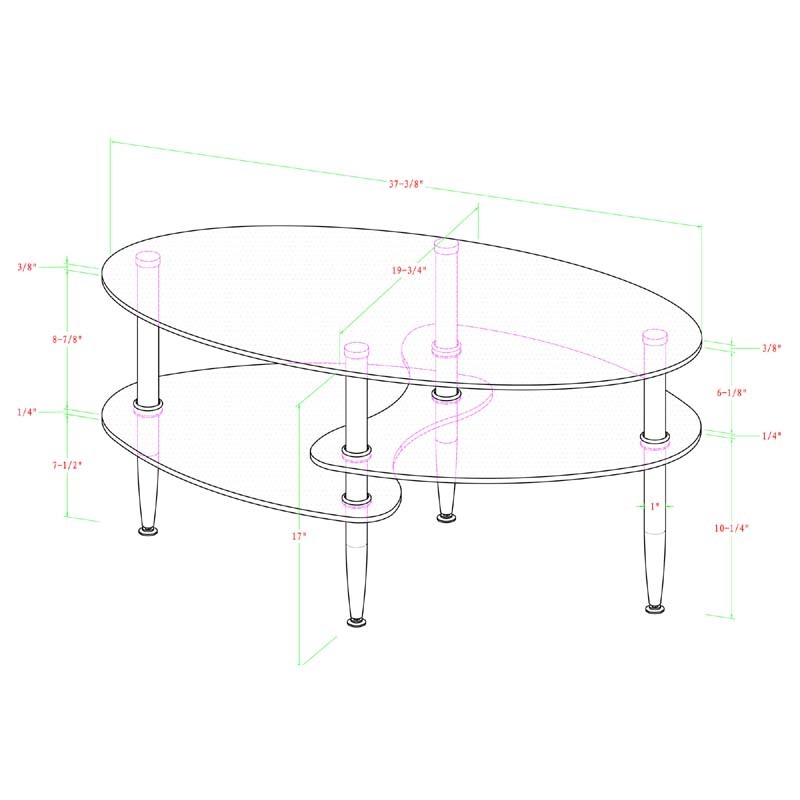 More on the Walker Edison 38 inch Wave Dual Oval Coffee Table C38B4 below. 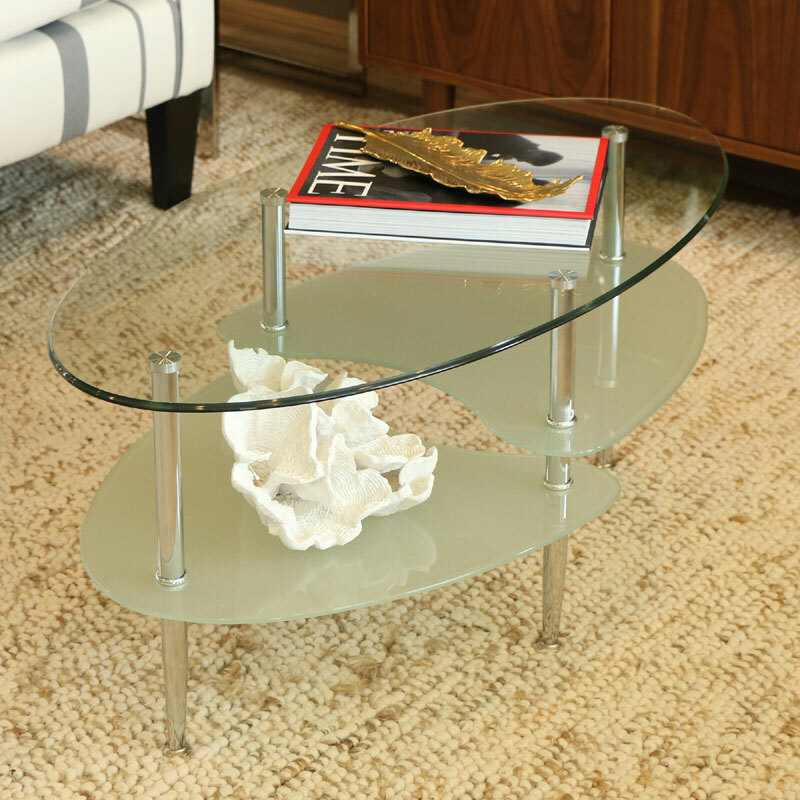 This stylish contemporary coffee table features elegant curved lines and frosted lower shelves. 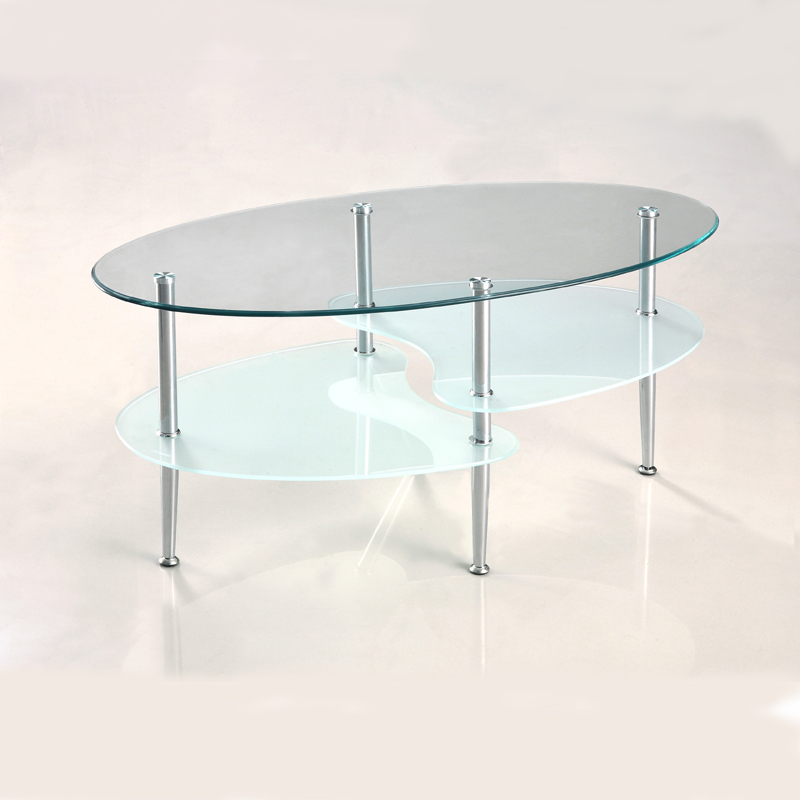 The three levels of glass combined with the brilliant chrome metal legs, creates a stunning high class look. All glass is beveled to create a softer edge and tempered for safety. 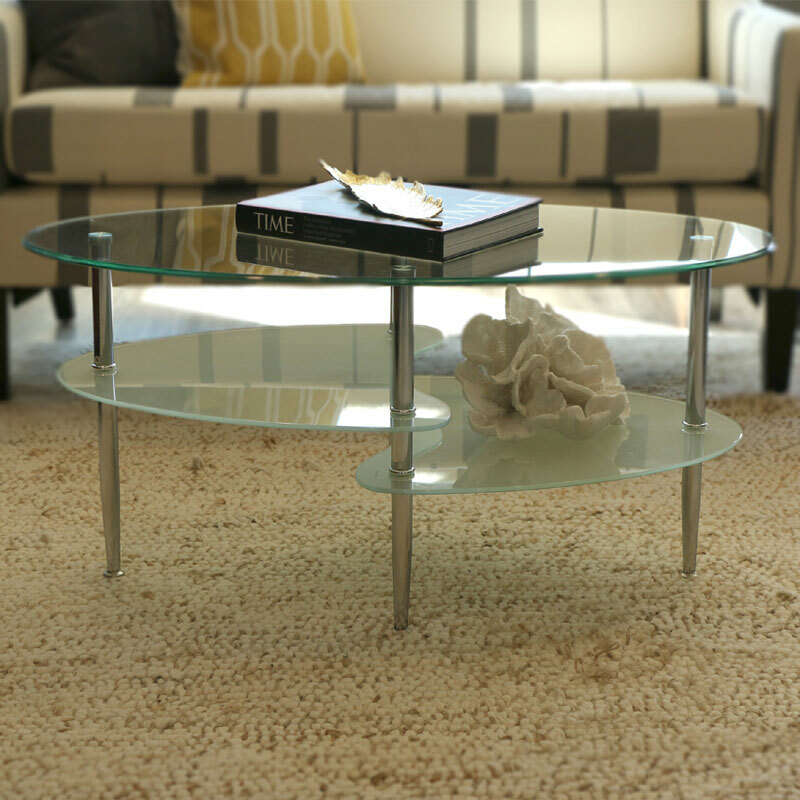 Oval shape coffee table with elegant curving lines. Top shelf glass 8mm thick. Subsequent shelves are 6mm thick. 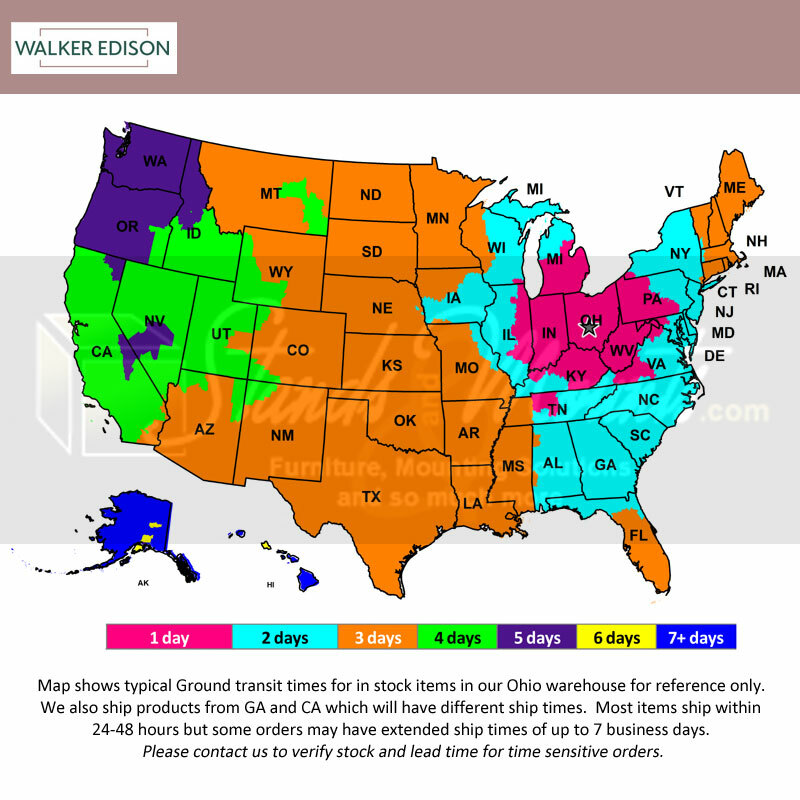 A Walker Edison Furniture Design. Assembly instructions with online support.